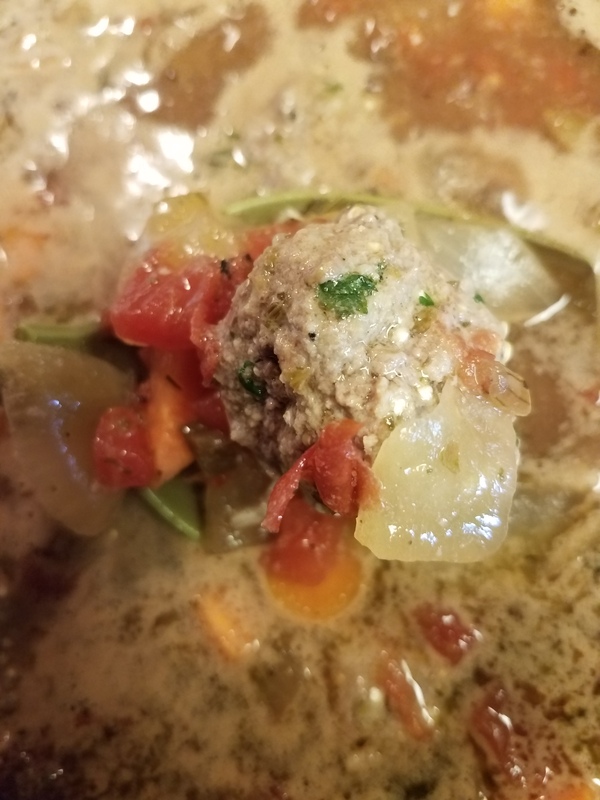 Albondigas soup is a Mexican version of meatball soup. It is a hearty beef broth filled with carrots, celery, tomatoes, onions, and spiced with a jalapeno. This is a heathier version of the traditional soup found in restaurants. 14.5 ounces can organic & BPA free roasted diced tomatoes. Rinse dust from top of can before opening. 1/4 cup pearl white quinoa or white long grained rice (to reduce possible arsenic levels, rinse with cold water in a strainer and drained). If using brown rice, you will have to cook longer. But this can make the meatballs tough. Seed jalapeno and chop fine. 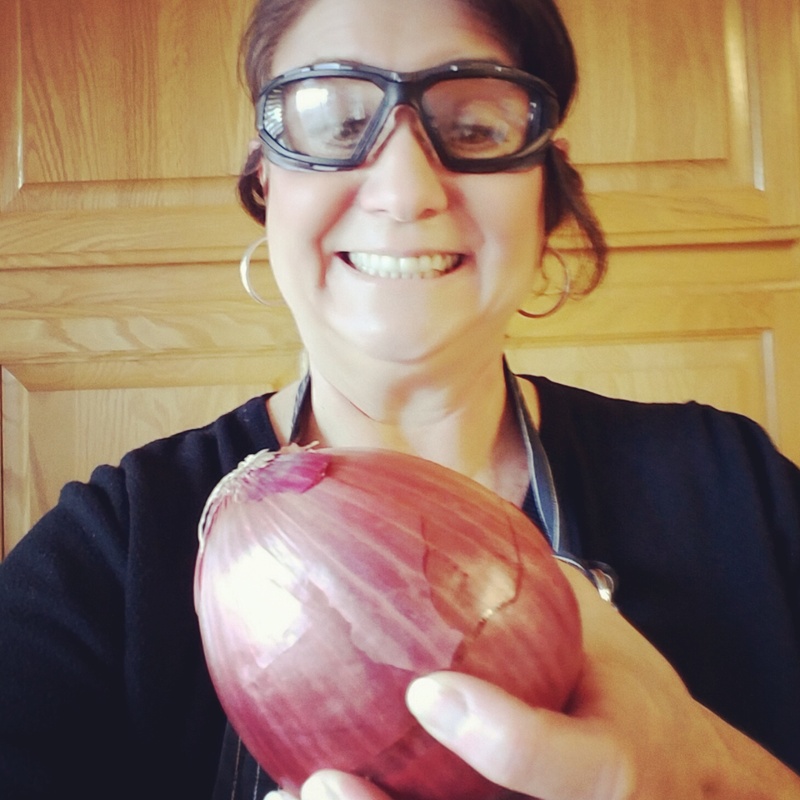 Wear protection on eye due to jalapeno spray when cutting. 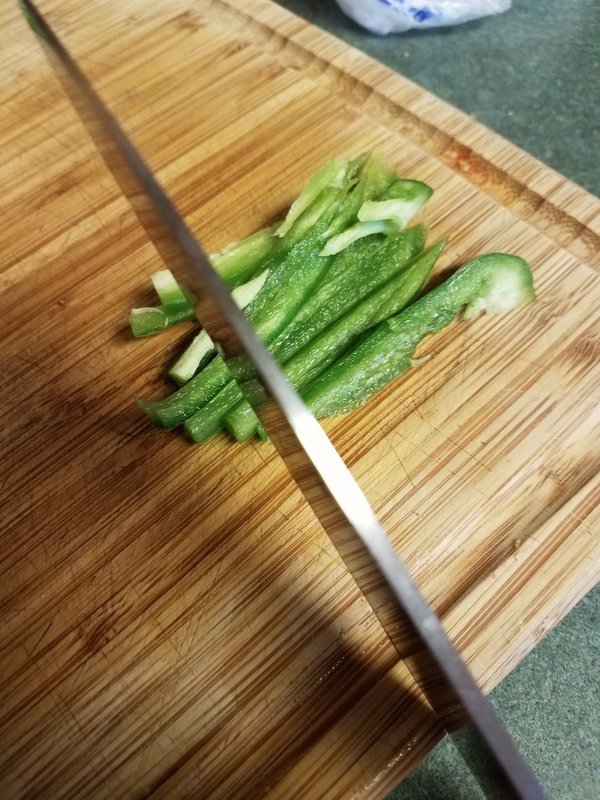 Take care not to inhale the jalapeno mist while cutting. 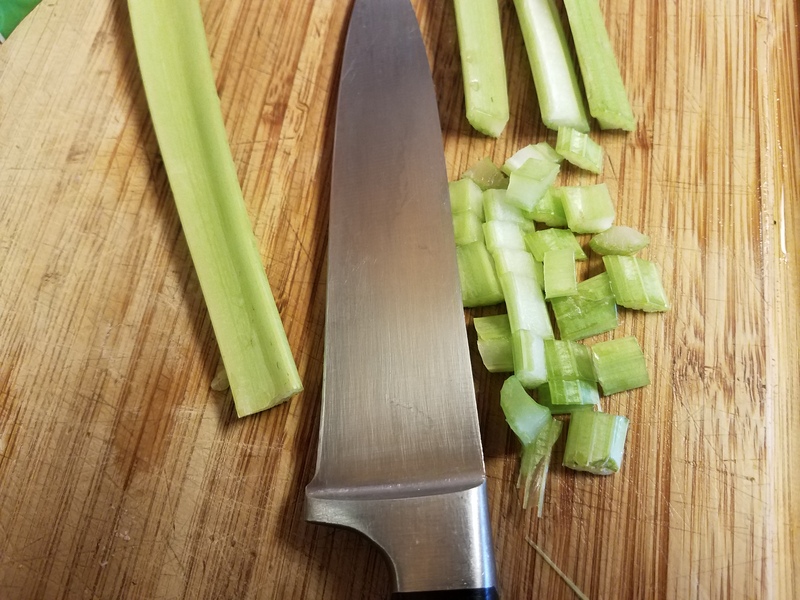 For celery, slice stalk 2-3 times lengthwise. Then chop perpendicular to stalk. In Dutch oven (large pot), add oil amd heat over medium high. 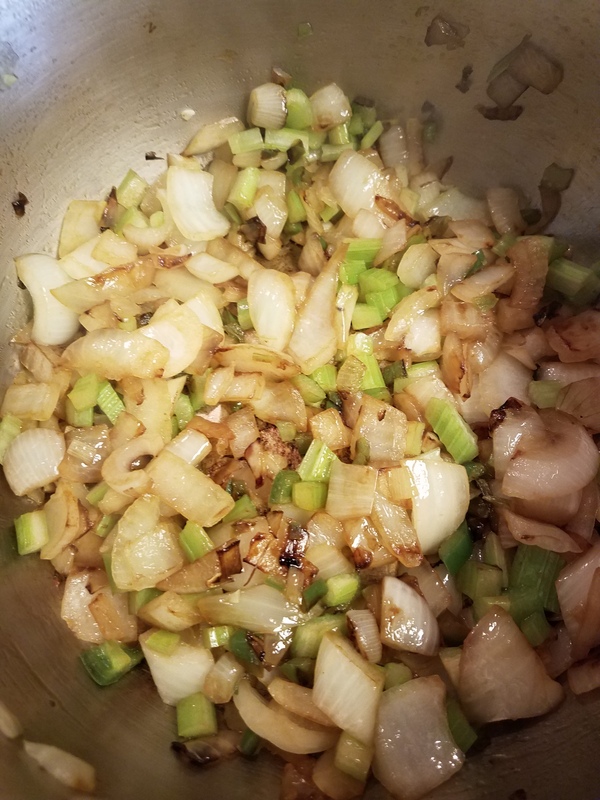 Add onions, celery, and jalapeno. Because careful of the steam. 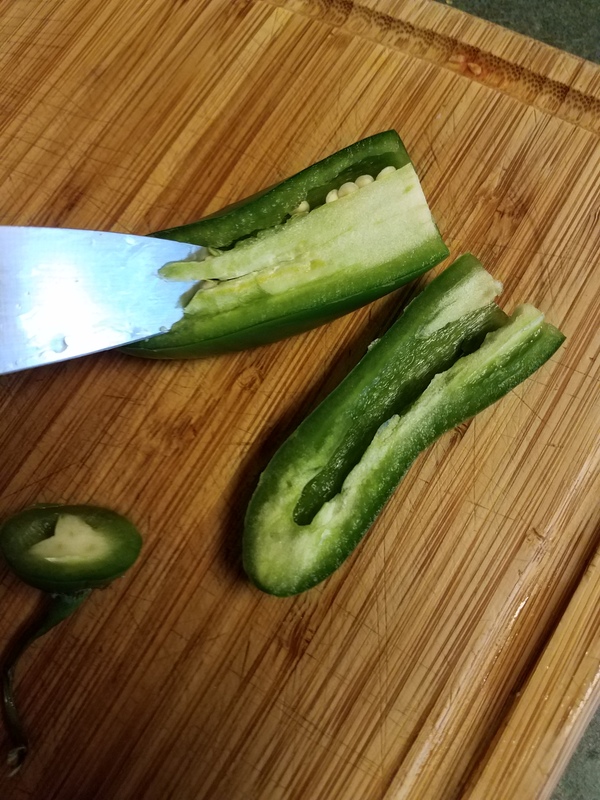 You do not want to inhale the jalapeno steam into lungs stirring often, cook until tender and onions are slightly brown and caramelized. 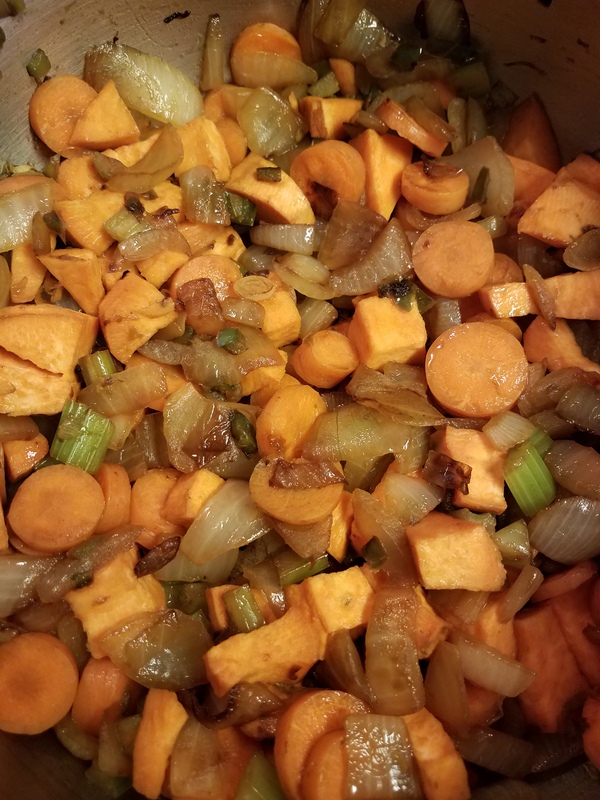 Add carrots and sweet potatoes. Stir and cook for about 2 minutes. Stir often. Add broth and entire can of tomatoes. 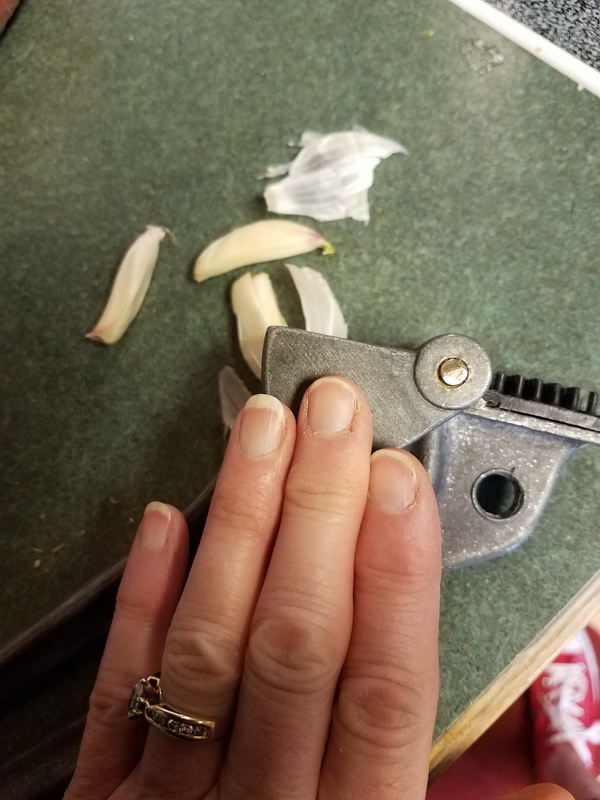 Peel garlic by crushing it with the back of a garlic press or large knife handle. Then mince. 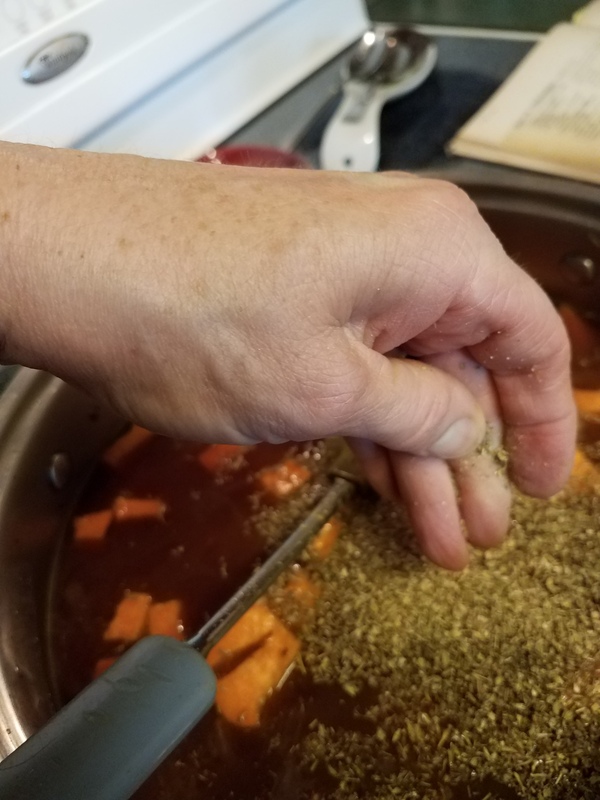 Using only half of the oregano add to broth by pinching between fingers to open up the flavor and aroma. 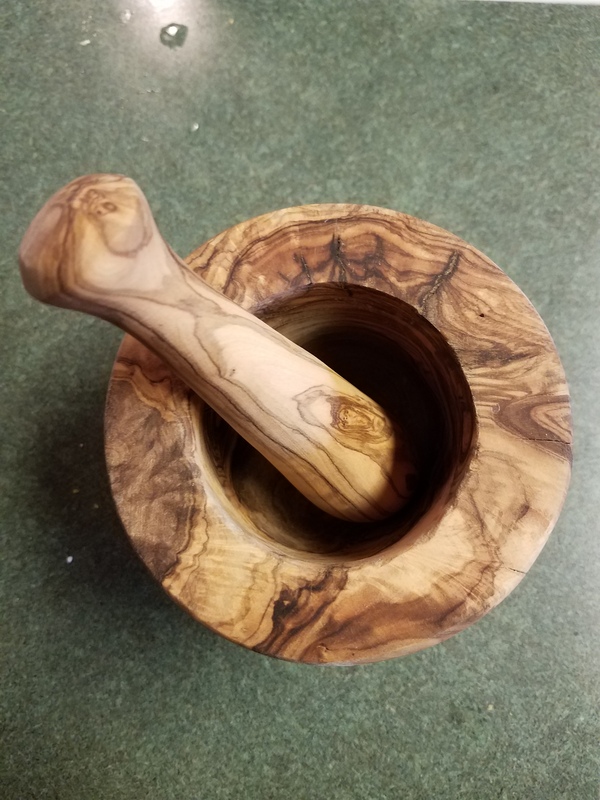 Or put the oregano into a mortar and pistol and crush. Then add to broth. Add half of the salt and pepper to broth. Stir broth and heat over medium-high until boiling. Then reduce heat to low. 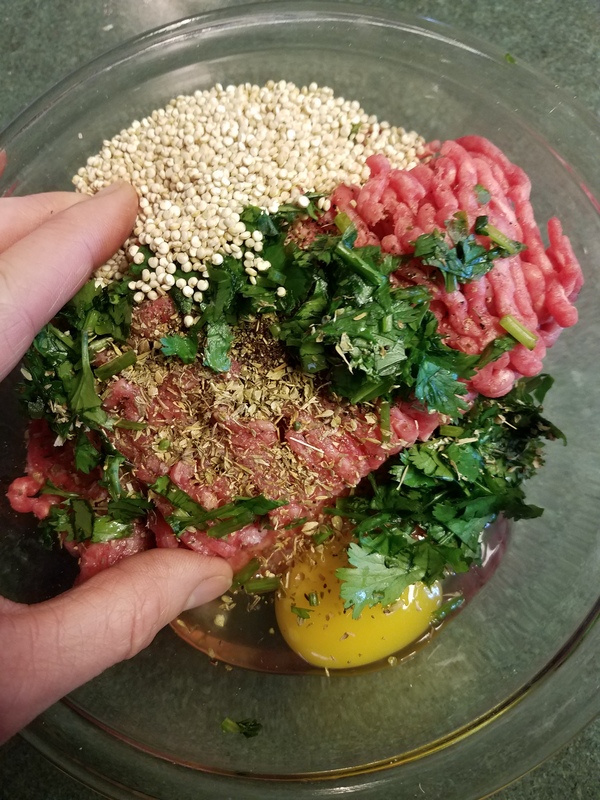 In a medium bowl, add meat, egg, quinoa/rice, rest of the salt, pepper, and pinch in the oregano. 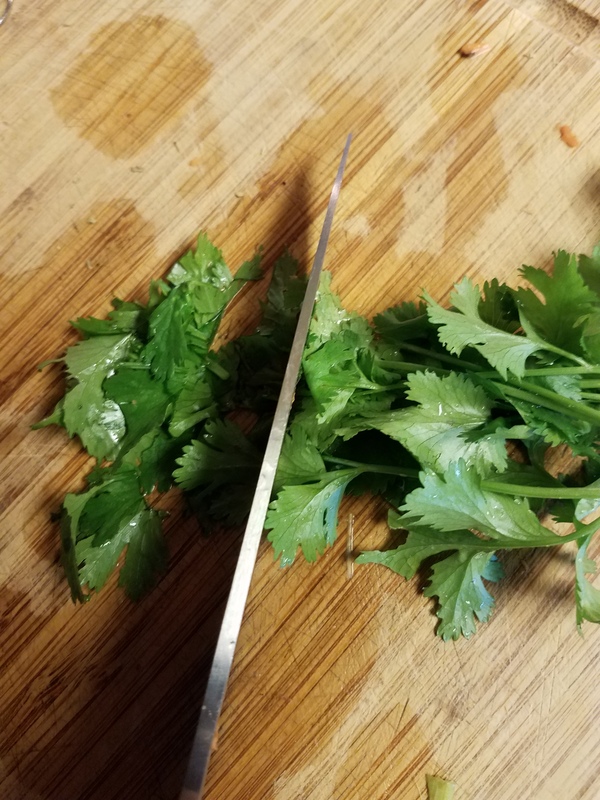 Chop cilantro. Add all to meat. With clean hands, mix the mixture. Do until completely mixed. 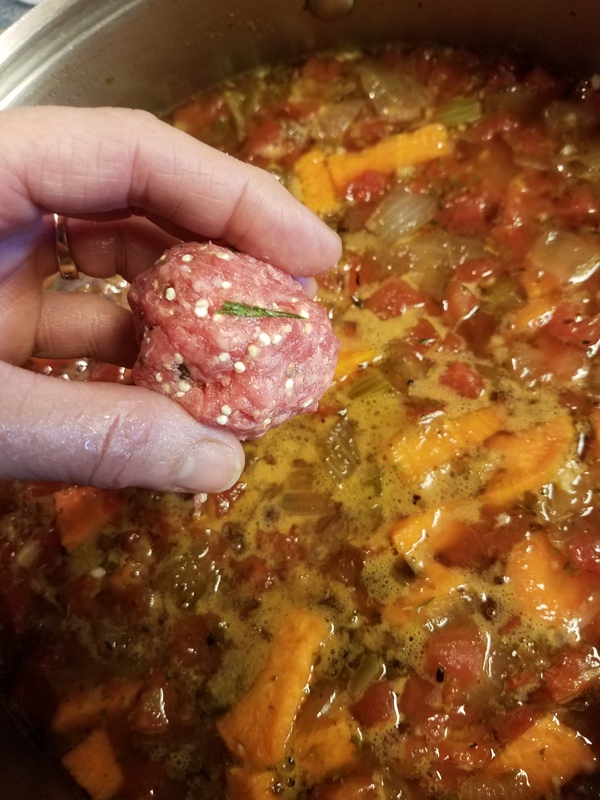 With hands make a 1-inch meatball. Then drop meatball into the hot soup. Bring broth back to a boil. Then reduce heat. And bring soup to a simmer. Cook for 30-40 minutes. Or until meatballs and vegetables are cooked. Stir carefully once or twice during simmering. In the Philippines, they have this soup called ” almondigas “… this also has meatballs, but no tomatoes. Instead, they use this type of special noodles called misua.